I’m continuing the water garden theme this week with one of my ‘plants of the moment’, candelabra primulas. I’ve been photographing them in various gardens for the last six weeks, and they never fail to show their best side. Happiest planted in continuously moist ground and in large swathes, they really come into their own through May and early June. 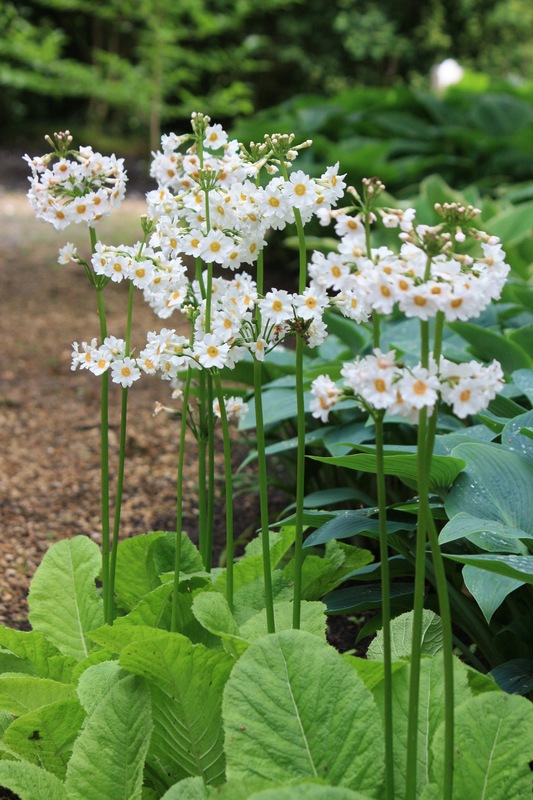 Many species and named varieties are pink or purple, but for a quieter alternative that comes true from seed, choose Primula japonica ‘Postford White’.